Protecting client information and building upon your firms’ integrity is improved with a more efficient and secure legal storage system. 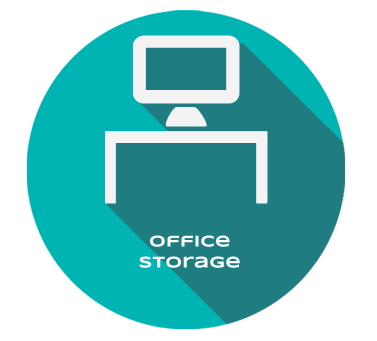 While most law firms are focused on designing a better space to promote a better work environment, storage is still an important factor in the overall design. By choosing a more efficient storage solution firms can double their storage capacity in the same amount of space. Legal storage including file shelving, high-density mobile systems and even evidence locker storage will help you create an organized and secure space for your firm, while opening up space for additional staff, meeting areas and collaboration. 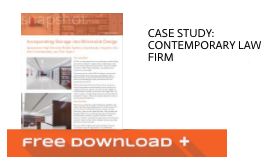 Explore how one Washington DC law firm created a modern and collaborative environment through the integration of smart mobile shelving solutions, by downloading and reading the featured case study. The recycled content value of the mobile storage and fixed steel shelving was $653,514. With the total recycled content value of this job at $1.6 million, the shelving contributed close to 40% of the Materials and Resources Credit 4: Recycled Content.